Hi all. I have baked for my family for years but haven't ventured into this area before. We just retired and moved to a very rural region and hope to build several gardens and have a few small animals. Since it is just my husband and I - I don't know if we could eat 2 loaves of bread in a week. Also, if I purchase the white flour from Mary Jane's site - it seems like an awful lot of flour? Hi Mary Jane and welcome! 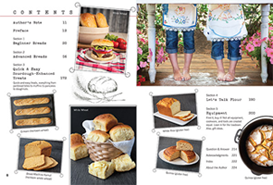 The recipes in the Beginner Breads Section do make large amounts, but keep in mind that you can always freeze your mother to use in one of the recipes in the Quick & Easy Sourdough Enhanced Treats section (pages 172-189). Once your mother matures and you move on to the Advanced Breads Section, many of the recipes make single loaves. I know 15 lbs of flour sounds like a lot, but you will be dipping into it every day to feed your mother and using a fair amount in recipes. The first 5 lbs will go fast while you're getting your mother started, and it's nice to have a decent amount to start with so you don't need to worry about running out. Thank you Ashley. I think I was a bit overwhelmed and missed out on the ability to freeze the Mother. 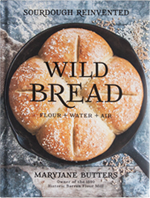 Will be ordering my flour today and keep reviewing the book.